Bolivian President Evo Morales said this weekend that Chile made a “secret offer” to grant the country access to the ocean in exchange for an alliance against Peru. Morales made the statements this Sunday, October 29 when documents concerning the assassination of John F. Kennedy were released by Unites States President Donald Trump. The documents allegedly contain evidence of the proposed alliance. The alleged “offer” was made in December 1975 during Chile’s Augusto Pinochet dictatorship, and includes an offer of a 6.2-mile passage to the ocean. Last time I checked, Pres. Kennedy was assassinated in 1963, so it’s unclear why 1975 events would be included in the files, but hey, we’re talking about Evo here. The International Court of Justice of The Hague is waiting on the oral arguments of both countries that will take place during the first semester of 2018. A ruling is expected during the second half of the year. I doubt that the ICJ will give any weight to the JFK flies. The government news agency said it was an emergency trip. Reportedly, the FARC’s Timochenko also dropped by. Evo recovered and landed in Caracas to participate in the latest ALBA summit and commemoration of the fourth anniversary Hugo Chávez’s death. He was still sounding a little raspy. 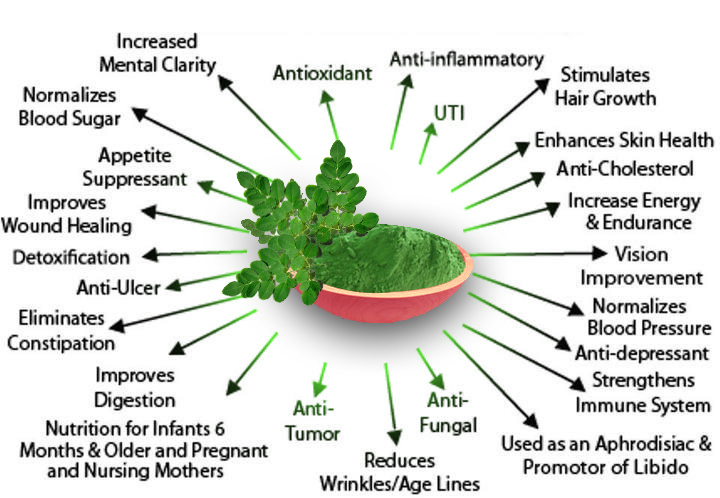 Cuba: What the hey is Moringa? “It’s such an important nutrient. 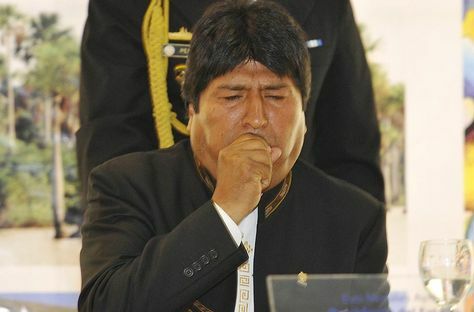 Fidel now sends me Moringa pills,” said Evo Morales, president of Bolivia. Evo just visited Fidel, to help him extend his 90th birthday celebrations. El coma-andante Fidel has been promoting the cultivation of the Moringa plant for years, promoting it as a “miraculous tree” and urging its cultivation. So better check WebMD before you take advice from Evo and Fidel. As it turns out, Evo’s child is eight years old (link in Spanish), but Evo not only claims the child is dead, he threw in the clink Zapata’s aunt for asserting that the child is alive, which is one heck of a way to avoid a paternity suit. First and foremost, I apologize to all involved (including Evo) for assuming that child was his. I should have waited for the DNA test results. No word as to whether any DNA tests were performed. Now that that’s out of the way, it turns out that Evo’s former girlfriend Gabriela Zapata borrowed the boy from his natural parents, Victor Carlos Vega and Isela Chávez, for five years. Claudio Rivera Guzmán (the son of Pilar Guzmán, Zapata’s “spiritual” aunt – whatever that means) and another family member, Juan Garrido Espinoza, plus Zapata’s lawyers, William Sánchez Peña and Wálter Zuleta, were also found to be involved illegally in the hoax, so now all of them are in the clink. You can’t make this up if you try. If Bolivia’s widening political scandal were to be turned into a soap opera, a fitting title would be “Heartless Ex-Boyfriend.” The protagonists: a Machiavellian statesman and a former paramour. The plot: She threatens to expose him as a monster, but he is determined to stay in power indefinitely, even if he has to jail, silence and discredit her and his critics. The basic details behind the scandal have been confirmed by President Morales himself. In 2007 or shortly before, the President had a relationship with Gabriela Zapata, resulting in a child who died shortly after birth. Zapata went on obtain a university education and a law degree, and in 2013 was contracted by the Chinese company CAMC Engineering which won an estimated $580 millionin work from the Bolivian state, of which,$366 million was awarded after Ms. Zapata was hired to represent the company. I also had a prior post describing the scandal’s effect on Evo’s campaign to be allowed to run for reelection in 2019. Evo has been in office since 2006. The coca growers want Evo as president until 2035, and Evo is doing his darnest to oblige. Considering the billions of dollars involved, why wouldn’t he? 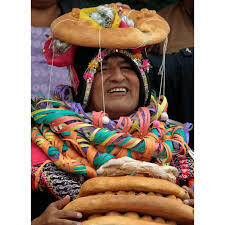 All that dough got to your head? She [Gabriela Zapata] and her lawyers also said she has damaging information about the president’s right-hand man, Juan Ramón Quintana, the minister of the presidency. Meanwhile, Mr. Morales’s allies in Congress have been peddling bills that would curtail freedom of the press and regulate social media. What they fail to see is that Mr. Morales’s defeat in February resulted from damning facts, not critical news coverage. And they are clearly nervous about the insider account of corruption Ms. Zapata stands to tell if she gets her day in court. On Tuesday, Mr. Morales announced a new referendum campaign, saying that the first one had been tainted by “lies” about the Zapata case. “During the second inning, we’ll see who is who,” he said. Let’s hope the new referendum campaign fails. Bernie supporters, stop calling it “democratic socialism”. Call it what it is: Communism. Democratic socialism is a political ideology that advocates political democracy alongside social ownership of the means of production, with democratic management of enterprises within a socialist economic system. The term “democratic socialism” is sometimes used synonymously with “socialism”; the adjective “democratic” is often added to distinguish it from the Marxist–Leninist brand of socialism, which is widely viewed as being non-democratic. Which, in practical terms, means that communism is palatable if everybody votes for it so nobody has a right to complain. Your rights to private property and self-determination are done for either way, no matter what color lipstick that pig wears. It’s like being a little pregnant. The Times does a good job of describing the disastrous state of health care in Venezuela–there is much more at the link–but never mentions the cause of the disaster, democratic socialism. For a more perceptive analysis of Venezuela’s problems, see this excellent roundup by AEI’s Mark Perry. Among other headlines: “Hungry Venezuelans Hunt Dogs, Cats, Pigeons as Food Runs Out.” That is what happens under Bernie Sanders’ democratic socialism. Currently, inflation is running at stratospheric rates, and Venezuela can no longer afford to buy the paper needed to print more worthless currency. In recent years, polls have shown that younger Americans have become less wary of socialism. Many of them now “feel the Bern” in the current presidential elections. They were still children, or not even born yet, when the Berlin Wall fell. They have had few opportunities to see socialism in action because (for good reasons) there have been few new experiments with it in the time since. They need to be told the full story of Venezuela, so that they can see how even a democratically elected socialist regime can bring a once-prosperous country to its knees. The unbending Maduro is giving them a unique chance to see it all play out in real time. I hope they will listen. However, I am skeptical. Almost ten years ago hundreds of emails and comments rained down abuse on me when I reported that Hugo Chávez declared himself a Marxist, because, after all, he was a self-proclaimed “democratic socialist” and I could not understand the difference. As for Venezuela’s failure, true Bernieskees will assert that Maduro failed to follow Hugo’s stellar policies, as a former friend insisted two years ago, and that’s why things went wrong. Venezuela isn’t quite as socialist as many people assume. As I said, Venezuela’s just a little pregnant, in their eyes. OAS Head Blasts Venezuela’s Nicolás Maduro. Former Uruguayan Foreign Minister Luis Almagro says leader verging on becoming ‘petty dictator’. Mr. Almagro said he was considering applying the OAS’s Democratic Charter to Venezuela, as requested Monday by New York-based advocacy group Human Rights Watch, and earlier by Venezuela’s opposition-led Congress. As I explained last Saturday, were the OAS to declare that Venezuela had violated its Democratic Charter, the country could be expelled from the OAS [See OAS Democratic Charter], which would mean pariah status for the country that Hugo Chávez envisioned leading the Hemisphere. Mr. Almagro accused Mr. Maduro and his allies of stealing public money and called on him to release “the people you hold prisoner for their ideas.” He also urged the Venezuelan president to stop subverting the opposition-run parliament. “You will never be able to give back the lives of children who have died in hospitals because they did not have medicine, you will never be able to free your people from so much suffering, so much misery, so much distress and anxiety,” Mr. Almagro wrote. Mr. Almagro is expected to convene a special session at the OAS to discuss the erosion of democracy in Venezuela. Adhering to democratic principles is a requirement for membership in the OAS, which was established in 1948. However, since Maduro no longer has money to buy himself the love of other heads of state as Hugo used to, the OAS decision may actually carry some weight. It certainly opens the door to other leaders to take on Maduro, not only at the OAS but also Mercosur and Unasur. His wife’s nephews are scheduled to be tried on drug charges on November 7 in Mahattan. 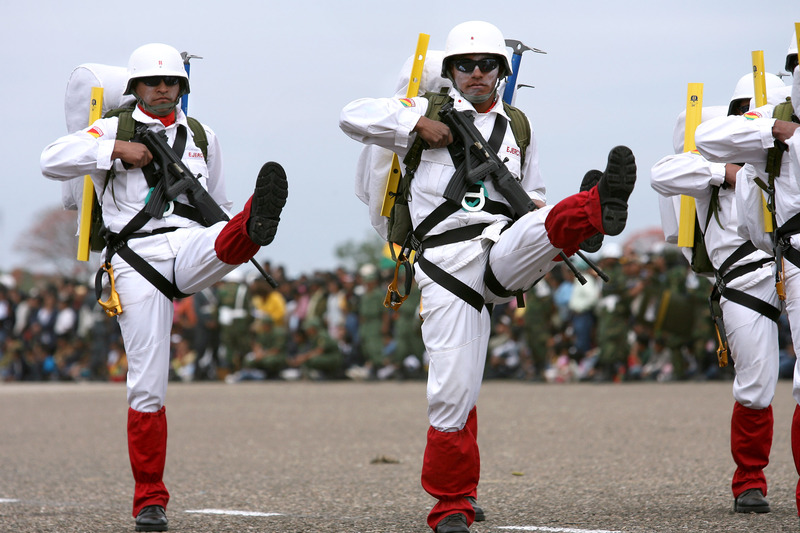 They claim the 800 kilos of cocaine belonged to Diosdado Cabello and Tarek El Aissami. Evo Morales threatens to send his army into Brazil to defend Dilma, Lula, and the PT (link in Portuguese). Failing that, they can always try out for Radio City Music Hall.